alkaloids, which are weak bases, will be more rapidly absorbed in the nonionized form (i.e., at high fluid pH) than in the ionized form (low pH). This fundamental observation has sometimes been overlooked in oral acute drug toxicity studies. In 1940, Jacobs (23) made use of the Henderson-Hasselbalch equation to relate pH and pKa to membrane transport of ionizable compounds. Extensive experimentation by a group of investigators in the early 1950s (14,24-28) quantitated many of the aforementioned observations concerning the influence of pH and pKa on drug absorption from the GIT. These studies have resulted in the so-called pH-partition hypothesis. In essence, this hypothesis states that ionizable compounds penetrate biological membranes primarily in the nonionized form (i.e., nonionic diffusion). As a result, acidic drugs should best be absorbed from acidic solutions where pH < pKa, while basic compounds would best be absorbed from alkaline solutions where pH > pKa. The data in Table 5 illustrate this principle (29). The investigators noted some inconsistencies in their data, however, as some compounds (e.g., salicylic acid), which were essentially completely ionized in the buffer solution, were nevertheless rapidly absorbed. To explain these exceptions it was suggested that there was a "virtual membrane pH" (*pH 5.3), different from the bulk pH of the buffer solution, which was the actual pH determining the fraction of drug nonionized and hence dictating the absorption pattern. 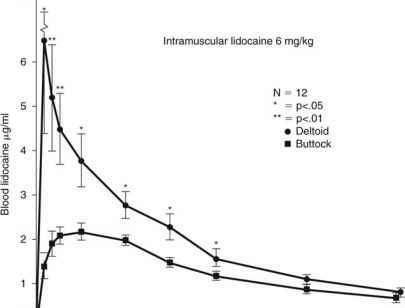 Although there may indeed be an effective pH at the immediate surface of the intestinal membrane, different from the pH of solutions bathing the lumen, there is overwhelming experimental evidence indicating that many drugs in the ionic form may be well absorbed. Over the years, there has been an unqualified acceptance of the pH-partition hypothesis, and as a result, many texts and considerable literature on drug absorption indicate that acidic drugs are best absorbed from the acidic gastric fluids of the stomach and basic drugs best absorbed from the relatively more alkaline intestinal fluids. If all other conditions were the same, the nonionized form of the drug would be more rapidly absorbed than the ionized form. However, conditions along the GIT are not uniform, and hence, most drugs, whether ionized or nonionized, acid, or base (i.e., regardless of pH), are best absorbed from the small intestine as a result of the large absorbing surface area of this region.